At Portsmouth Communications we recognise that choosing the right supplier for your business can sometimes be difficult and daunting. and really get to know their specific needs. please click on the company names below. specific needs please contact us or telephone 0800 849 7888. Many thanks for this. I would like to pass on my thanks and praise to Jason. He’s a certain asset to Portsmouth Comms and has been fantastic on both jobs. We’ll certainly be in contact when we have any further fibre requirements. Portsmouth Communications have been supporting the telecoms for the Domino’s Pizza Solent franchise for over 15 years, providing telephone systems and support. We continue to work closely with Mark Parker and his team at Solent Pizza. 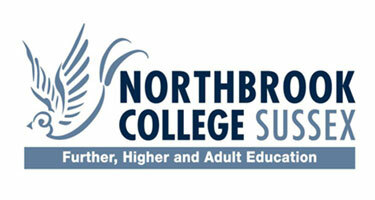 Portsmouth Communications were invited to tender for Smartboard Interactive Whiteboard upgrades at Northbrook College in Worthing. The job entailed removal and disposal of existing interactive whiteboards and installation of new Smartboard 880 type boards. In order to achieve this we were required to relocate the existing projectors and cable connections. After a major weather storm in Portsmouth literally ripped the roof off one of the buildings at BAE Systems, Portsmouth, we were urgently requested to relocated a large number of telephony services to an adjacent building on site. Once the building was repaired we then had to move the telephony services back. M.L. has asked me to pass on his thanks for the stirling job you (and your teams) have been doing with the user relocations at Broadoak. The users have been up and running again with little or no inconvenience. This has been noted at a higher level and the client is please with the outcome. GOS / MSS Project Manager – BAE Systems Account. “Portsmouth Communications have been working for the former Royal West Sussex Trust, now the Western Sussex Hospitals NHS Trust, for the past 8 years and are involved in all of our telecommunication needs. Portsmouth Communications are involved from installing an extra telephone or data point to supplying and installing entire voice and data networks within new buildings. We have always found Portsmouth Communications not only exceptionally professional, but most of all helpful; any issue that arises they will always identify the issue and provide the answer – ‘there is never a problem, only a solution’. The work is not only carried out to a high standard it is also completed on time, even if that means working ‘out of hours’. Due to the nature of hospitals situations can arise where works are needed to be carried out as a mater of urgency and Portsmouth Communications are always there to help at any time if needed. The standard of work and the flexibility that Portsmouth Communications offer makes them our preferred supplier/installer at St. Richards Hospital”. Adam Shepheard, Capital Projects Manager, St Richards Hosptial, Western Sussex Hospitals Trust. More information about the project can be found in the case study. Prefer to talk to someone? Give our expert sales team a call and they will be happy to answer any and all of your business communications related questions. Copyright © 2018 - Portsmouth Communications Limited. All rights reserved.